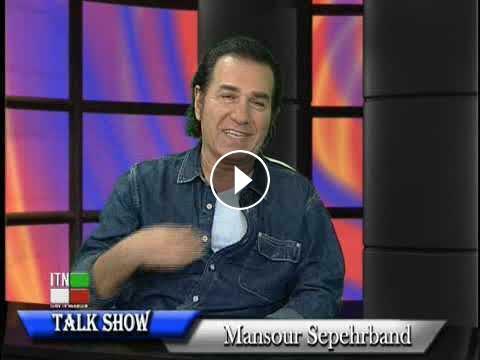 On Wednesday, February 13th , I sat down and talked with Mr. Mansour Sepehrband on his "Talk Show" on ITN tv network. we touched many topics including love, Valentine's day, Reminiscing about "Artoosh" the Iranian singer who passed a month earlier. And finally we talked about my Sister's illness with Leukemia and the process I went thru when I found out I was a positive match for the Stem Cell/bone marrow procedure and how easy it is to save a leukemia patient's life.